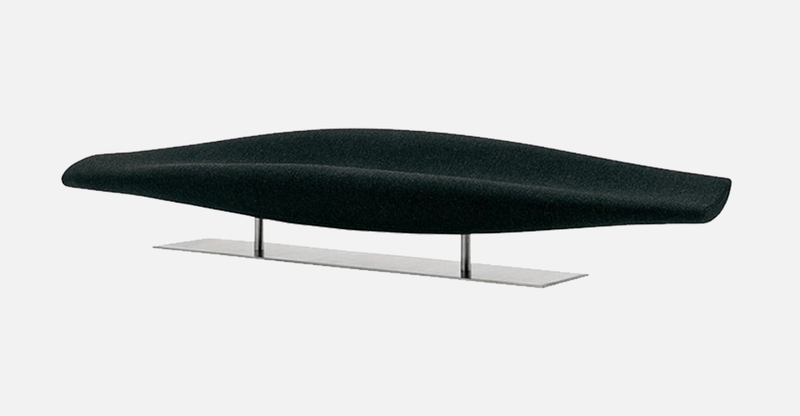 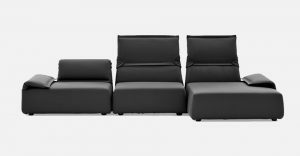 Inout benches and sofas, designed by French designer and architect Jean-Marie Massaud are an elegant and sophisticated accent with a hint of the futuristic. 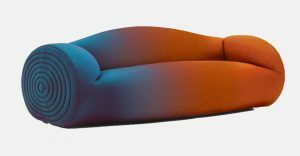 The sinuous, clean lines make them ideal for animating a multitude of settings; to lighten up rigorous classical contexts or reinforce a decidedly contemporary edge. 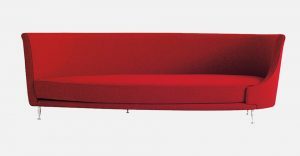 Inout by Jean-Marie Massaud includes benches and sofas available in two versions: lacquered fiberglass with a polished finish seat in yellow, orange, red, green, blue, white, black or light grey; seat with moulded polyurethane foam padding and fixed cover in the colours and leathers in the collection. For both versions, the base is made of satined stainless steel.